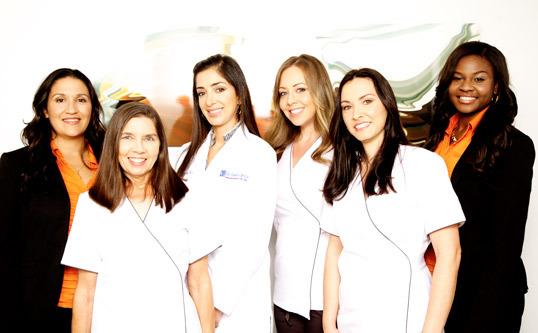 At our office, we truly care about your dental health and wellbeing. We know how stressful a visit to the dentist can be, which is why we do our best to make sure you feel at home when you come to our office. From the time you call us and step into our finely appointed office, you will experience the courtesy and professionalism that we are known for. We value your time so we make every effort to make sure you are seen promptly and with minimal waiting. At your first appointment, we will take a set of digital photos and x-rays to evaluate your oral health. The dentist will listen to your concerns and perform a thorough dental examination. The dentist will go over your photos, x-rays, and educate you on your current needs. All aspects of proposed treatments will be explained to you including the number of visits, finances, and insurance coverage. We are well known for our caring and warm professionals who will treat you with a gentle and soft touch.